As many of you know, Cornwall is one of my favourite places and my other half and I go there to visit friends a couple of times a year. 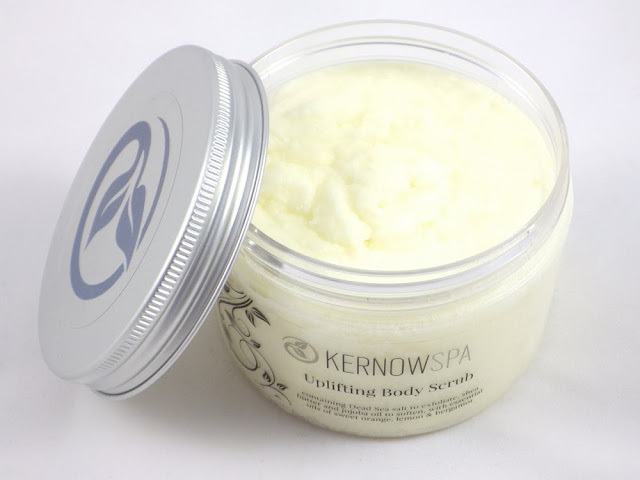 So I was really excited to come across KERNOWSPA, a Cornish brand specialising in handmade skincare, toiletries and spa products. Their products contain high quality natural ingredients and come in recyclable bottles and jars. I've been using their Uplifting Body Scrub and Soothing Bath Salts for awhile now and thought it was about time to share my thoughts on these products with you. 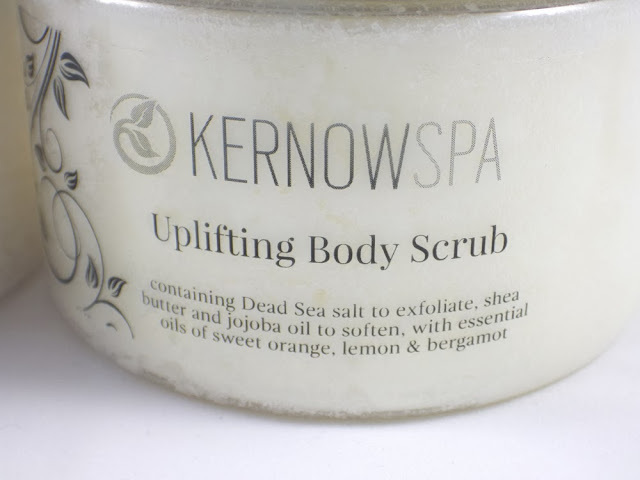 This scrub contains Dead Sea Salt to exfoliate, Shea Butter and Jojoba Oil to soften and essential oils of Sweet Orange, Lemon and Bergamot to uplift. The citrus scent is lovely; fresh, pure and just what you need to awaken your senses in the morning! 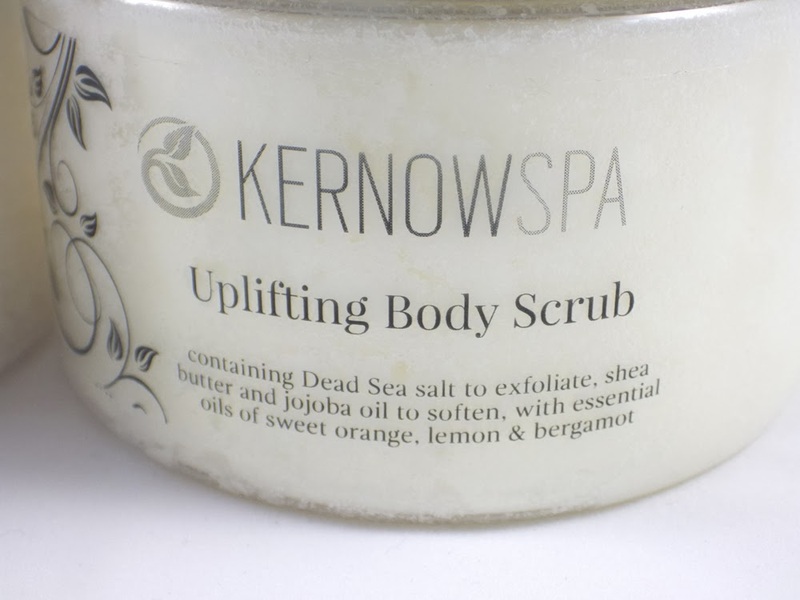 I've never used a salt based scrub before and I do like my body scrubs (unlike my face scrubs!) to feel quite grainy and well, scrubby. 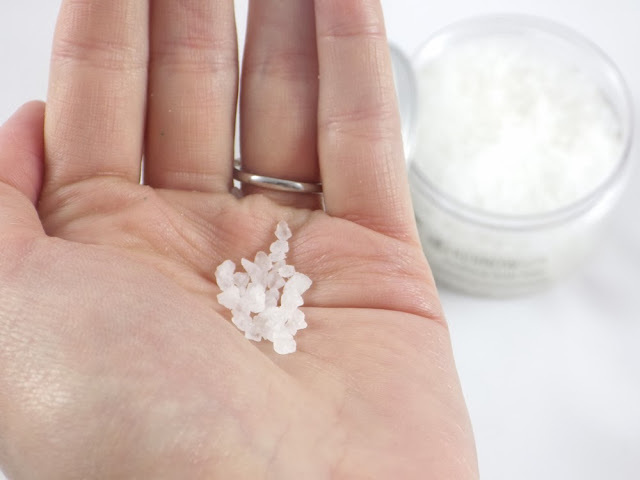 The salt particles are small but very concentrated and as you work a handful into your skin, they definitely feel like they're working hard! 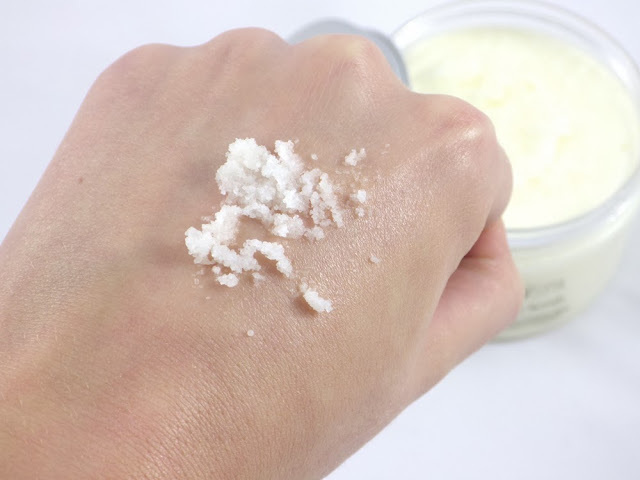 The Shea Butter and Jojoba Oil stop the salt being too abrasive and as the salt melts in your skin, it leaves behind a lovely hydrating layer of the butter and oil. It's a fab scrub to use if you don't have time to moisturise afterwards. 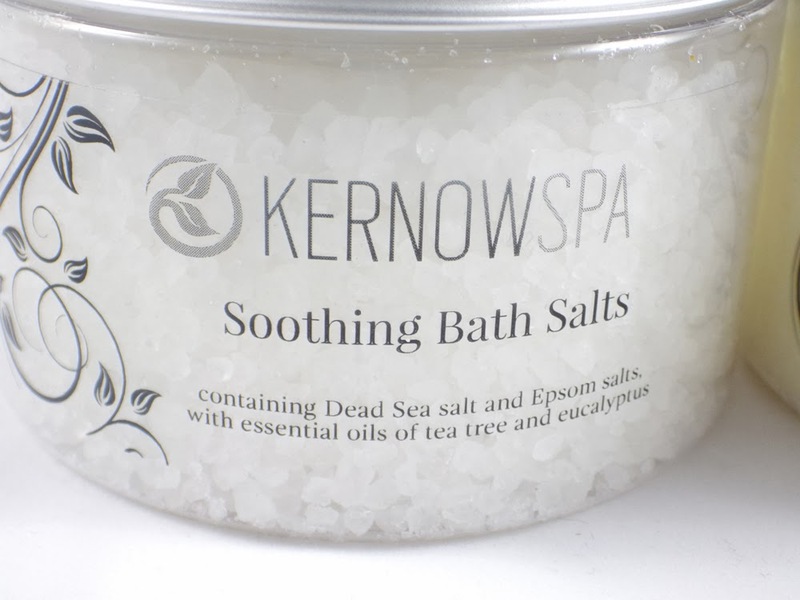 These baths salts combine Dead Sea Salt and Epsom Salts to soothe the body, with essential oils of Tea Tree and Eucalyptus. To use, you simply add a handful of the salt to running water and give the water a swirl. 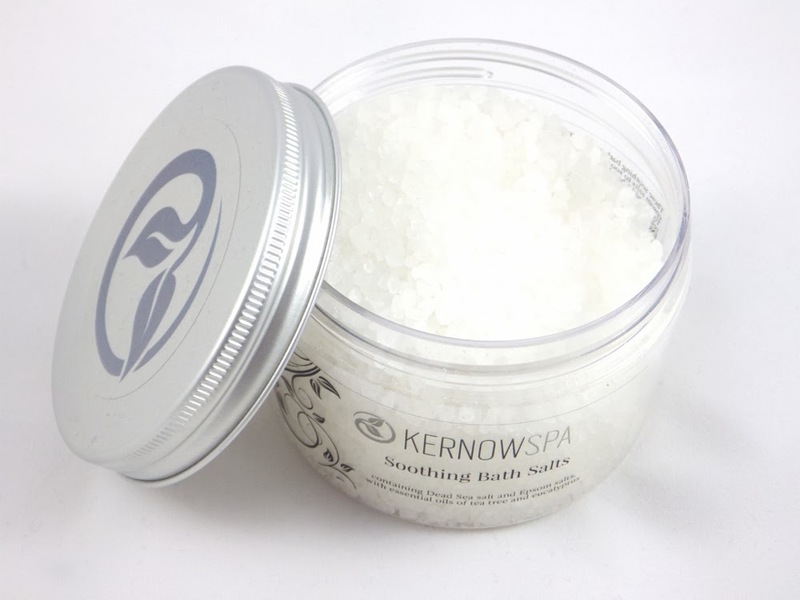 I haven't used bath salts much before, but they are meant to soothe muscles and help to relieve stress. The scent is quite strong in the pot (although this does become more subtle when in the water), yet clean, fresh and surprisingly soothing. It does remind me of the scent of Vicks VapoRub though, which is a decongesting product you use when you have a cold! I'd recommend using these if you want a fuss free, yet relaxing, spa style bath and certainly if your sinuses a bit blocked up! I think I do prefer a good old bubble bath - salts are missing a "wow" factor for me - but they're certainly a nice option to have. My favourite is definitely the Uplifting Body Scrub, but both of these products have proved to be fantastic quality using natural ingredients and fragrances. 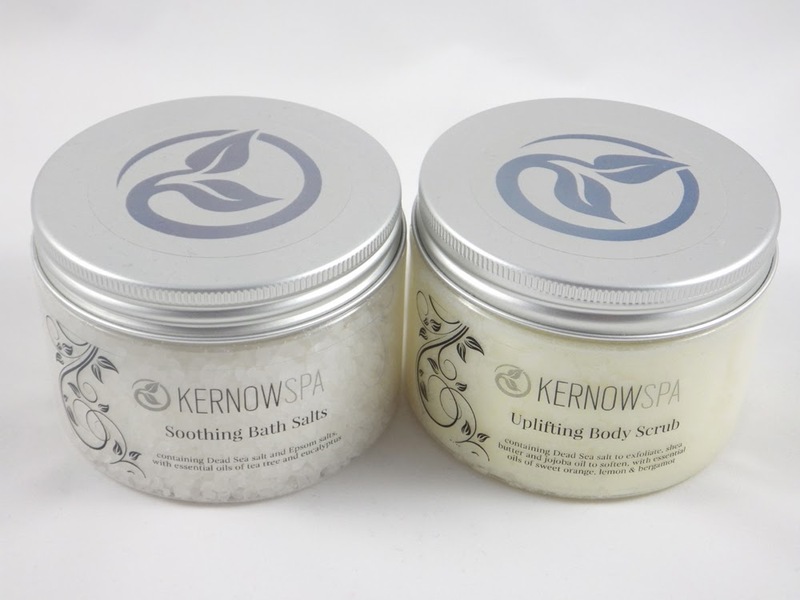 To check out the full range of products from KERNOWSPA click here. Have you tried any products from KERNOWSPA? What are your favourite home grown beauty brands? I really must get some bath salts think they can be really great, especially during the colder months!